I do like to drink out of mugs – on a cold day there is nothing like a mug of hot chocolate or a mug of your favourite soup. But a mug takes up a lot of space in your pack. Well not anymore! 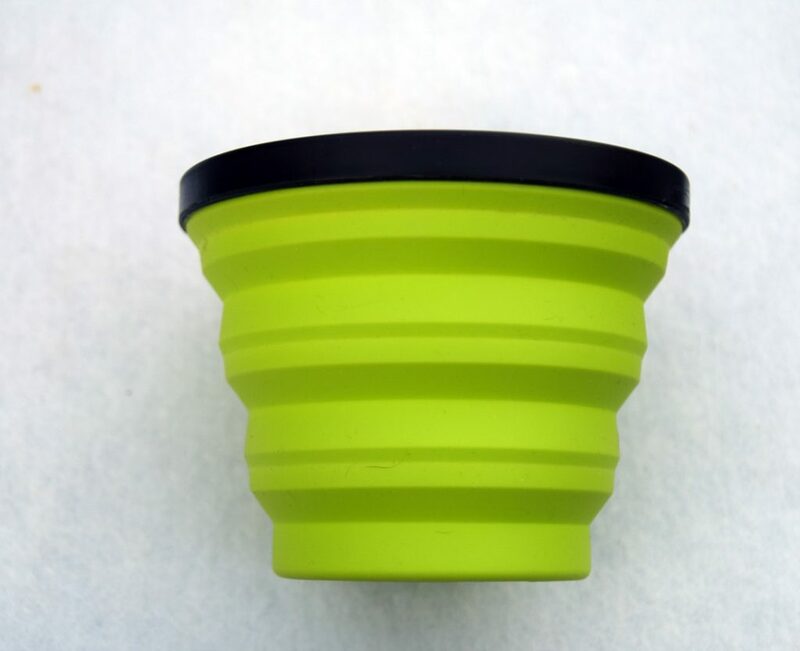 The Sea to Summit X-Mug is an innovative twist on the old fashioned and bulky mug. 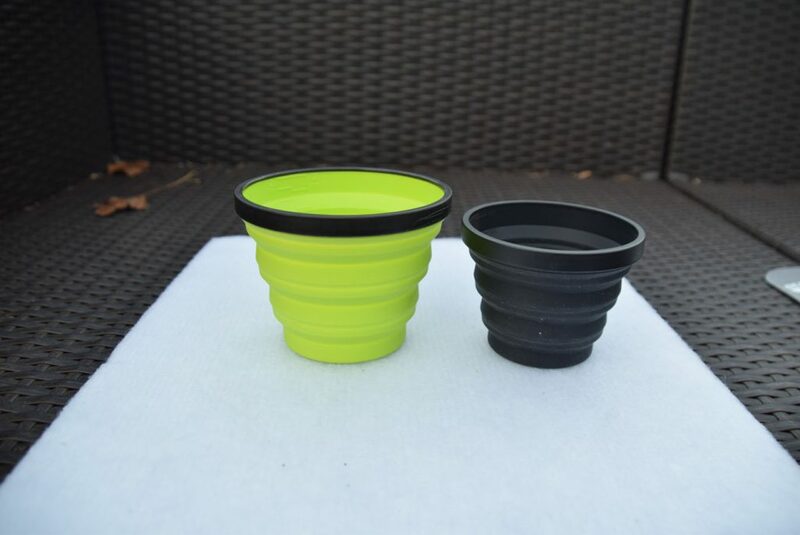 The key feature of the X-Mug is that it is constructed from a ‘flexible, European standard compliant, food grade silicone’ which means that the mug is soft to hold and easily collapses down for packing. This mug is very soft to touch but is too large for smaller hands. 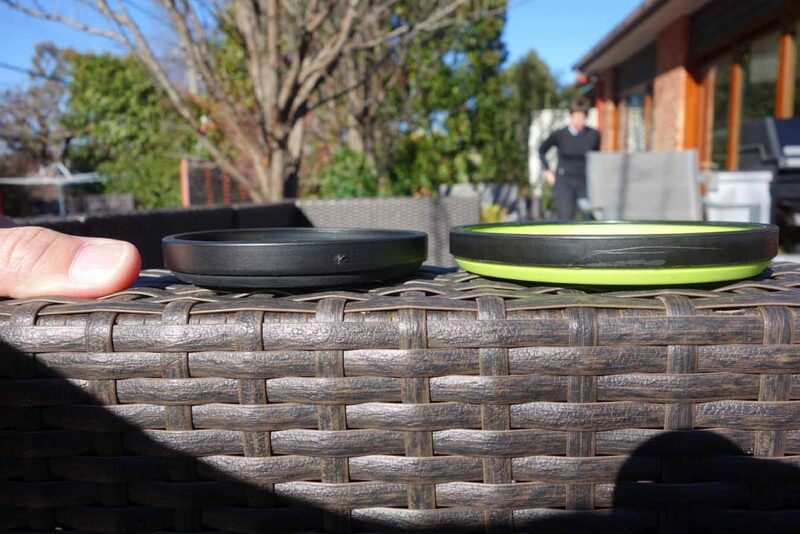 The X-Mug doesn’t have a handle so for me, it is difficult to get my hand comfortably around the X-Mug. My grip is not quite right and I do worry I will drop the mug when full – particularly if the liquid is hot – or squeeze too tightly on one side which results in sloshing drink out the other side. There is no way I can use the X-Mug one handed while wearing gloves – I just don’t have the finger reach or the control. 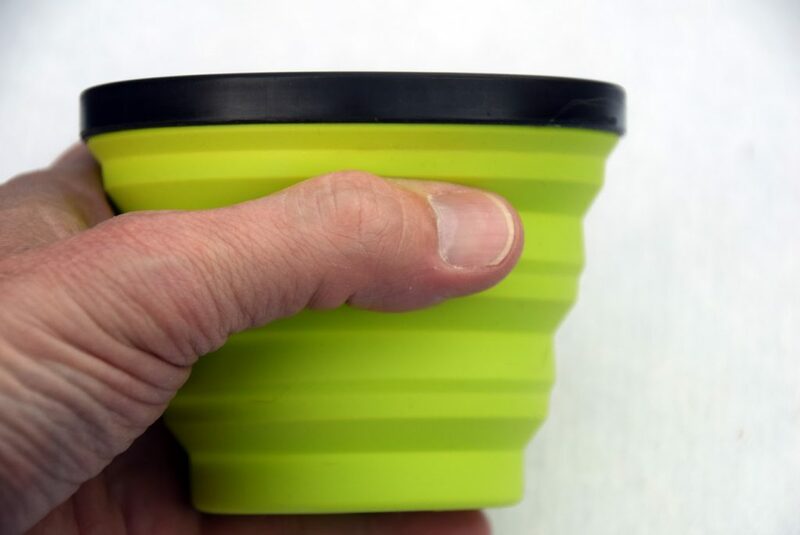 The collapsibility of the X-Mug is great and it does fold flat but definitely not ‘to the size of your palm’ as suggested on the packaging – or at last not to the size of my palm! However, it is easily packed and stored in that form. The mug rim is formed by a rigid ring which keeps the X-Mug sturdy but unfortunately it’s not the nicest mug rim I’ve used on the trail. Its functional – just a bit industrial! The Sea to Summit X-Mug is a great idea that solves the space issues created by mugs and is best for those who have large hands! 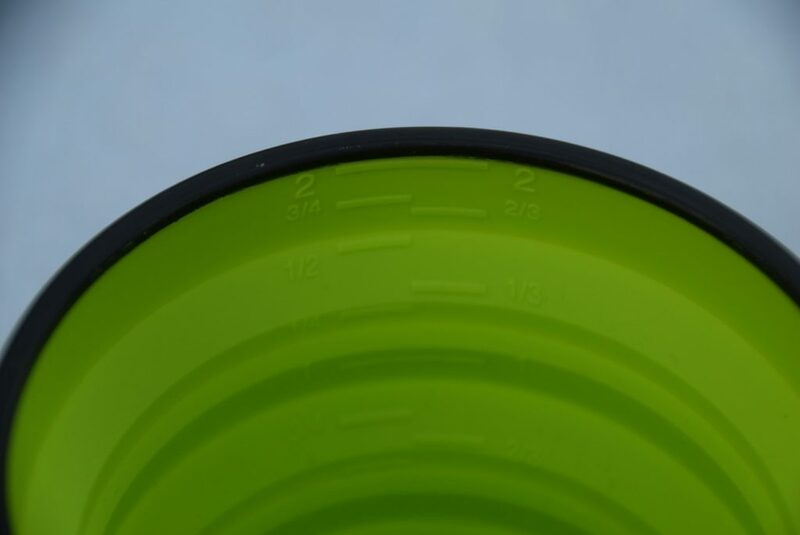 The X-Mug has lots of potential but I will leave it to others because of I just don’t have the hand stretch needed to comfortably hold the mug.